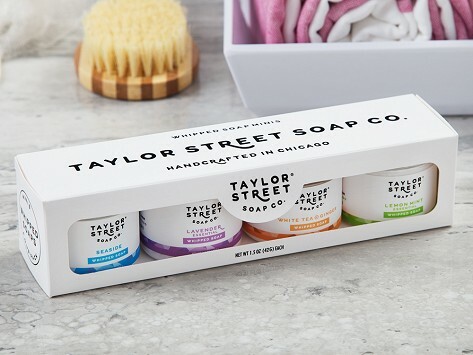 A whipped soap gift set is a delicious-smelling way to get clean. The jarred soaps look like frosting (no eating, please) and feel like a body butter on skin—rich and creamy. Pick from a set of dessert-centric scents or go for crisp, fresh fragrances. Handmade in small batches in Chicago. Paraben-free and vegan. I bought this for a gift and now I want a set for myself! The scents are lovely and being whipped makes them even nicer!